“No, it wasn’t a dream,” said Edmund. “What do you think it was then?” asked Eustace. It would be nice, and fairly true, to say that “from that time forth Eustace was a different boy.” To be strictly accurate, he began to be a different boy. He had relapses. There were still many days when he could be very tiresome. But most of those I shall not notice. The cure had begun. Have you seen The Lion? Are you different? Are you relapsing? Are you tiresome? Let the cure begin! Woooo, this is another good one honey. Are we any different, or are we just as the world? Can others see a difference in us, especially our family and friends? I pray that others will see a new me, and want to know why, so I can have a chance to witness to them, about Jesus, the Love of My Life. Good stuff! LOVE IT! Thank you. Moses found in Exodus chapter:34. Second time up the mountain. communing with the Lord. 40 days and nights, no food or water. threw his skin. Filled to Contentment. Pressed down and running over. or blimish. By the Works of His Glorious Hands. Oh Yes, I want to believe that others can see a difference. But sometimes when I’m looking into the mirrow searching my soul, I forget to take off the veil, and it doesn’t look like the change that is happening is so obvious to me. So I just Trust Him to get me there. 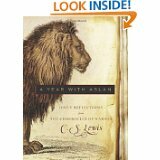 So by now, you can see, sometimes when I meet with Aslan. I need to take a bath before changing cloths. Sorry, I didn’t mean to write so much. Just needed to talk. Once again, Susan, you helped to make me think and remember what it is all about. Life Changing Relationship with Him. We can’t change without it. I LOVE when you “write too much”. I “think” too much. Love you, sis….. The “cure” has begun…..to “un-dragon” us……..the cure……….this “cure” birthed the hope we live with daily…the “cure” is Christ Jesus our Aslan….it is as profound as it is simple….good, very good………….. Awesome as always. LOVE this!!! I yearn for those Lion-sightings as a daily experience.